Back in September i entered a contest on Dosankodebbie’s blog and won! I received one of her Etegami postcards and her business card (fish) which is also a work of art. If you’ve never heard of Etegami you’ll want to check out her blog. 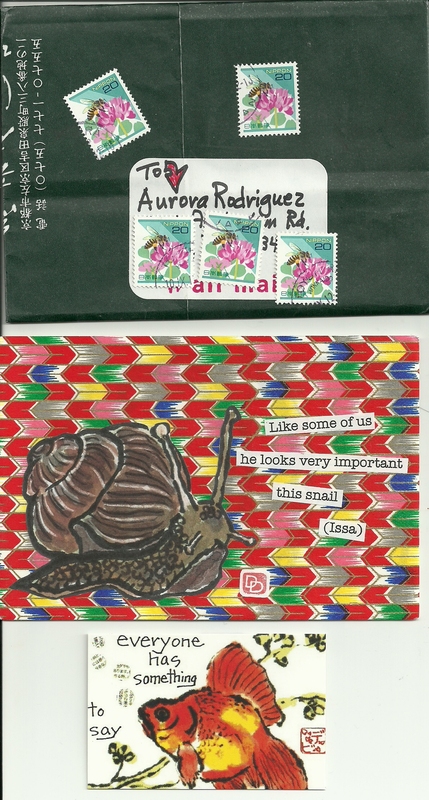 Etegami is artwork (drawings) featuring words or short phrases. Debbie has some wonderful examples of her Etegami on her blog. Enjoy.